Look. Impossible burgers are great. As someone who’s adopted a plant based diet myself, I’m absolutely curious to see if the power of Beyoncé and Jay-Z can equal the industrial meat industry and factory farms. But hey, if any celebrity can do it, maybe it’s these two crazy kids who could buy and sell me in between the spaces of any of these words. In the introduction to a book from Maro Borges– someone described as an “exercise physiologist” and Beyoncé’s personal trainer –titled The Greenprint: Plant-Based Diet, Best Body, Better World, music’s most powerful of power couples encourages those reading it to go to an all plant based diet in 2019. 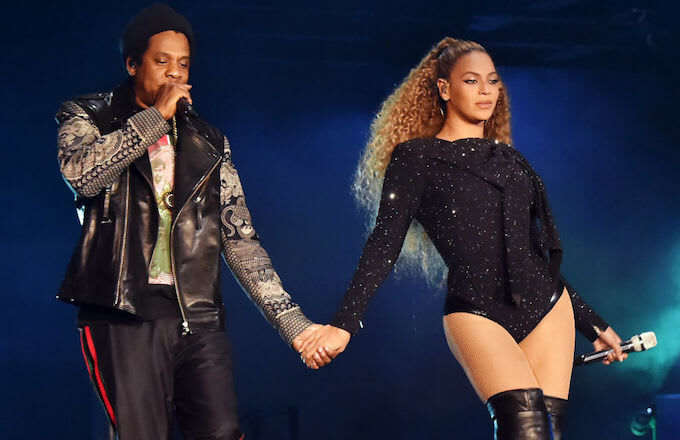 The Carter-Knowles’ have long been vegan advocates, with Beyoncé having publicly adopted a vegan diet in preparation for her 2018 Coachella appearance. In general, it’s a great cause — especially if you’re afraid of the ongoing destruction of the effects of global warming. Factory farms are a massive contributor to the effects of global warming, as this Guardian article outlines. It’s due to cow farts too. Don’t like burgers so much that you’ll let us drown in a sea of cow farts, please! Cow farts. It is not a way to die worthy of a world that made Jay-Z and Beyoncé stars, I tell ya! Our one act of good taste! So. Listen. What do you think of any of this? Is it good they’re doing this, will you take up an all plant based diet? Oh I have an idea. Let us know in the comments or on Twitter at @WhatsTrending. What an idea.